Book your mini cruise with Voucher Ninja and save up to 25% or enjoy 2 for 1 on ferries with our DFDS Seaways discount codes and vouchers. With ferries departing to France and Holland, you’ll have the perfect short break on a DFDS Seaways ferry. A short break away is a great way to escape from life’s everyday stresses. Our winter offers mean you can book a return ferry crossing from just £65 return. Discover France With Return Short Breaks From Dover To Dunkirk Or Calais. They’re Available Year-round And Mean That Whether You’re Looking For A Quick Escape, Or A Longer Retreat, You Can Find The Perfect Deal For You. Car & up to 9 people, return. Selected departures until 17th Dec. Book by 16 Dec.
Price based on 2 sharing, return. Selected departures from 1 Jan to 31 March 2019. Travel By Ferry And Enjoy An Extra Day Of Holiday. Boasting Excellent Onboard Facilities, And Without All The Stress Of Airports, Our Ferry Crossings Mean Your Holiday Starts The Moment You’re Onboard. Plus, Book Now For Your 2019 Holiday With 15% Off One Way And Return Ferry Crossings From Newcastle To Amsterdam. Secure The Best Dates With Just A 15% Deposit Now. Car, en suite cabin & 2 people, each way. Book by 28 Feb 2019. Available on selected departures from 1 May until 23 Dec 2019. DFDS Seaways provide frequent ferry crossings between the UK and Europe with a wide range of on-board facilities and excellent prices, making a trip away from the UK to Holland, and France a cheap alternative to flying. With daily ferry’s from Newcastle to Amsterdam, Dover to Calais, and Newhaven to Dieppe, it has never been easier to get you and your family into Europe, starting your holiday or mini cruise on a budget. DFDS have many awards under their belt, and have received both the name of Europe’s leading ferry operator in 2016, and has also had the grand award of World’s leading ferry operator back in 2015. If you’re looking to book a ferry from the UK to Dunkirk or Amsterdam, DFDS Seaways have very affordable short breaks. Whether you’re travelling from Newcastle to Amsterdam or Dover to Dunkirk, we have DFDS Seaways discount codes to keep the cost of your break down. You’re going to love the voucher codes for DFDS Seaways we have to offer, and we’re confident that you’ll enjoy the savings even more! Start saving on your DFDS Seaways ferry today and choose Voucher Ninja for your online ferry discount code. We have various discounts available, including money off your entire booking and 2 for 1 on ferries to Newcastle to Amsterdam and 2 for 1 on ferries to Dover to Dunkirk. When booking a ferry from Newcastle to Amsterdam or likewise a ferry from Dover to Dunkirk, DFDS have you covered. Not only do they offer mini cruises overseas, but at a very reasonable price. Simply use our DFDS discount codes to save money at the checkout when booking your trip. Then, you can use your savings as spending money during your mini break, it’s as easy as that! If you’re looking to book a mini cruise, look no further and browse our online DFDS discount codes to save money on your trip away. With huge savings to be had, you’ll be surprised at just how cheap a DFDS Seaways ferry really is. Have a browse through our DFDS Seaways voucher codes to find the best discount code for your trip, then add the DFDS Seaways coupon at the checkout. 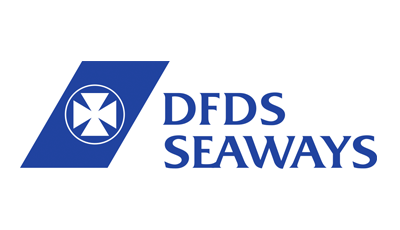 You’re always going to save money when choosing our discount code website for your DFDS Seaways voucher codes and discounts. Once you have found the right discount code for DFDS Seaways to match your needs, you can take advantage of some great savings. Take a look through our online DFDS Seaways voucher codes and discounts to find a suitable deal for your trip. We’ll make sure you don’t pay full price for your mini cruise. After you have browsed our DFDS discount codes, the process of purchasing your trip with DFDS Seaways couldn’t be easier. Simply filter down your search to the right date and amount of people travelling etc. then discover which cabins are available. Better still, we offer some of the best discount codes out there, so the price you initially see won’t be what you pay. Enter one of our voucher codes for DFDS to save money on your mini break. 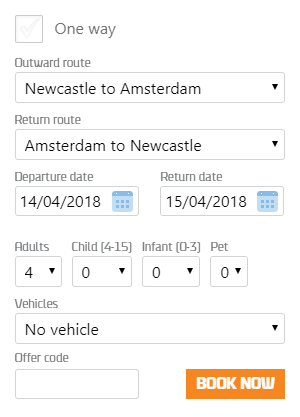 DFDS have many ferries departing worldwide, so no matter where you’re going be it Newcastle to Amsterdam or Dover to Dunkirk, you’re going to save money with Voucher Ninja. We have some of the best discount codes for DFDS Seaways, giving you many opportunities to save on your ferry break all year round. 2017 New Year Amsterdam Cruise. Had an amazing time. Was on my partners Christmas works do with 16 other people. Staff very friendly and approachable. Cabins were compact but done the job. The beds are so so comfy. Lovely touch coming back on the boot on nye and being given a rose. Getting glammed up and watching the fireworks was the best....especially as it was my birthday nye too. Highly recommend! Well worth the money to upgrade to a commodore deluxe cabin , so much more room and comfort the crossing wasn't too bad a little choppy at times . Newcastle is a great city for shopping with everything you possibly could want The journey back was just as relaxing The band that entertained us was very good. The staff are very welcoming and nothing was too much trouble. Thanks so much for a fantastic trip last Friday evening Newcastle to Amsterdam. Service was 5* plus. Your staff were fantastic from the moment we drove onto the ferry and that is each and every one of them. Food excellent and great value for money especially the breakfast. We arrived relaxed and ready for our 12hr+ drive to the South of France. Will definitely use you again and recommend to friends. Where do I start with thanking you as a company, Wednesday evening our car blow up in Austria leaving us without a car and our insurance company refusing to help. We hopped 9 train 2 buses and a taxi and finally made it to Dunkirk Friday evening, when we arrived your staff did everything thing they possibly could to help myself and little family. At 8pm you kindly couriered us upon you boat free of charge and told us to get some dinner, and after the crossing made sure we all were delivered safe to my family who was waiting on the other side, we are forever in your dept and can't thank you all enough for your kindness! Came for my 18th birthday and was so late coming and so worried that I wasn't going to make it on time however after getting in touch with you very quickly and easily the very lovely captain waited and I had the most amazing birthday !! All the bar staff were lovely and all sang happy birthday and gave me a free cocktail which was lovely !! All so lovely and great service, I would definitely recommend and I will definitely be returning ! Using our DFDS discount codes are simple and easy. All you need to do is filter your search to the appropriate dates and specification for you, then it will show the available cabins. Please see our guide below to learn more on using your DFDS Seaways discount code. Why choose Voucher Ninja for DFDS Seaways Discount? Choosing Voucher Ninja for DFDS Seaways discount codes is quick, easy, and hassle-free. With various DFDS voucher codes for ferries from Newcastle to Amsterdam and ferries from Dover to Dunkirk, you’ll have a blast on a DFDS ferry. Regardless of the number of passengers or duration of your trip, you will enjoy your mini break all-the-more knowing you’ve saved on your booking with the best discount codes for DFDS Seaways. Be it 2 for 1 on ferries, or money off your whole booking, Voucher Ninja have you covered. All the discount codes we offer here at Voucher Ninja are new voucher codes. From 2 for 1 ferry voucher codes to money off the whole booking, Voucher Ninja have you covered. Unlike other online discount code websites, we only supply new voucher codes to our customers. Enjoy exclusive deals on your holidays, clothing, food, and more with Voucher Ninja. We offer some of the best discount codes, allowing you to make huge savings with all your online purchases. We are constantly expanding our range of voucher codes to ensure we provide the best deals for all our customers. With various discount codes and vouchers available, there’s no reason to shop anywhere else when looking for discount code websites. We offer some of the best discount codes online, meaning you’ll always save on your online shopping with Voucher Ninja. Just like all the stores listed on Voucher Ninja, we have a range of discount codes for DFDS Seaways, providing numerous opportunities to save when booking your ferry with DFDS. Here at Voucher Ninja, we are regularly updating our website with new voucher codes. We know the feeling of finding a discount code, redeeming it to find it’s already expired. It’s not great. So, our aim is to always provide new voucher codes for our customers, so you can shop happy knowing Voucher Ninja have your needs covered with the best discount codes on the market. Very easily. Discount codes can be added at the checkout or sometimes in your basket, so you can see money on your shop. Before purchasing online, it’s always worth searching for discount code websites, like Voucher Ninja to find the best voucher codes for your online shop. When you have found a voucher code that is suitable for your purchase, copy the code and then head back over to the website you’re shopping on. Simply enter it into to appropriate section in your checkout to redeem your savings. Never pay full price again and save Voucher Ninja in your bookmarks for constant discounts and new voucher codes everyday. If your code hasn’t worked, then it’s best to contact Voucher Ninja and we will do our best to help. Unfortunately, you can only use one discount code at any given time. However, you are able to use two codes on two different purchases, but you are unable to combine two codes in one order. Our main aim is to provide new discount codes to all our clients, and we’re regularly checking our codes. Should you come across an expired code, please do not worry. Simply contact Voucher Ninja and we will do our best to find a similar voucher code for your purchase. Make the most of your DFDS Seaways trip by using our ferry discount codes for money off your booking. With various coupons and discounts available, Voucher Ninja is one of the best voucher code websites for anyone looking for DFDS Seaways discount codes. With that being said, we hope that you enjoy our range of discount codes and voucher codes for DFDS Seaways. If you're looking for 2 for 1 on ferries from Newcastle to Amsterdam, or Dover to Dunkirk, check out our DFDS Seaways discount codes and vouchers for the best deals and savings. Pay the lowest price for your ferry cruise and shop our selection of DFDS Seaways discounts today. DFDS Seaways is an excellent choice for people searching for a break away or mini cruise. With ferries from Newcastle to Amsterdam and ferries from Dover to Dunkirk, you’ll have the ultimate trip with DFDS. They have various ferries and cabins available, giving you many reasons to choose DFDS Seaways for a mini trip overseas. Once more, you can save money before booking your break with our discount codes for DFDS Seaways. Shop online with Voucher Ninja today to enjoy the best voucher codes for your mini cruise. If you’re interested in going overseas on a DFDS ferry, be sure to use our discount codes at the checkout to save money on your break. You can enjoy the best deals and discounts on 1000s of online stores with Voucher Ninja. Better still, we have a selection of DFDS Seaways vouchers to choose from, allowing you to save on your mini cruise. With exclusive discount codes, we're here to put you in control of your spends, and ensure that you never have to pay full price ever again. DFDS Seaways have various ferries and short breaks available for those in search of an affordable break overseas. No matter the destination, we have DFDS Seaways voucher codes to make sure you pay the best price for your trip. With DFDS Seaways discount codes, you can book a ferry abroad knowing you’ve made great savings on your mini trip. Your short break will become even more affordable once you have taken advantage of the best discount codes for DFDS Seaways breaks, from Voucher Ninja! We want to make sure you have a perfect time away, without having to pay full price. So, choose Voucher Ninja for as your go to for discount code websites and enjoy the savings you will make on your break with DFDS Seaways. with our DFDS Seaways discount codes and vouchers. With ferries departing to France and Holland, you’ll have the perfect short break on a DFDS Seaways ferry.